President's meeting with Nikolai Lyubimov. Putin.BLOG Regions Ryazan President's meeting with Nikolai Lyubimov. 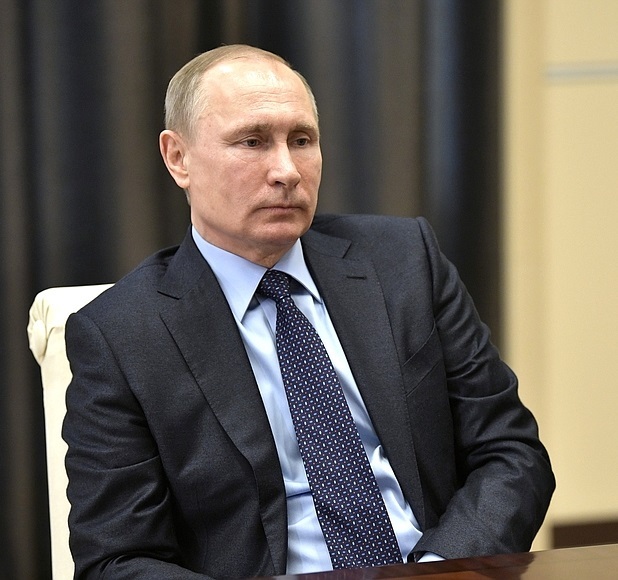 Vladimir Putin held a meeting with Nikolai Lyubimov in Kremlin. Mr. Lyubimov, you have come from Kaluga. You were born and started your career there. You've worked hard and already held posts of the city mayor, a chairman of the local legislative assembly, and a deputy governor. Kaluga is one of Russia’s most progressive regions. Every region has its problems and the Kaluga Region does too but it still has good growth indicators. If I offer to you to be the head of the neighbouring region, Ryazan, will you make it at least as good as Kaluga? What prospects do you see there? You know Central Russia very well. I would like to hear to your opinion. Mr. President, of course, I would accept the post in the Ryazan Region. I think the region is quite promising, a beautiful area, with rich culture and history, and great potential as a tourist destination. It also has developed agriculture and industrial production. I think this potential, including the human resources, could be realised to its fullest, even though we can see that in the past years, the current governor and his team have done a great job. However, I think there is still more to achieve. I think my experience could prove particularly useful in Central Russia in a region that is very similar to the Kaluga Region. Of course, there are many nuances and small differences. However, Central Russia is geographically close to Moscow. The industrial and, most importantly, workforce potential allow this region to develop much faster. You are a young but experienced professional and have demonstrated your abilities in various areas that require great responsibility. I hope that you will employ your best qualities in your new role. As you just said, the most important thing is to be closer to the people and to know about their lives and everyday challenges. Solving these problems should be your main responsibility. I absolutely agree with you, Mr President. My lifelong strategy (and a habit now) is to try to listen to the people and do what they need. I will try to live up to your trust in me and do everything I can to improve people’s lives in the Ryazan Region. Vladimir Putin, the President of the Russian Federation. 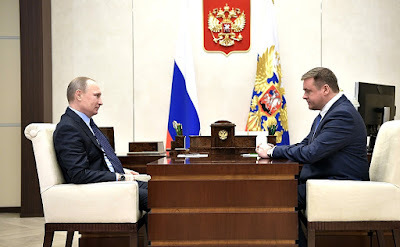 President Putin with Nikolai Lyubimov, the Acting Governor of the Ryazan Region. 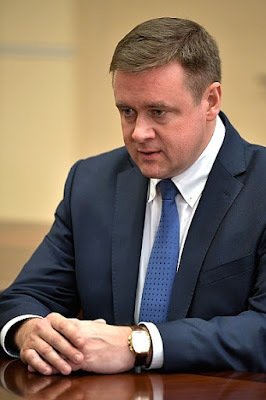 Nikolai Lyubimov, the Acting Governor of the Ryazan Region. 0 Comment to "President's meeting with Nikolai Lyubimov."